Walsall's teenage defender Rico Henry has extended his contract with the Saddlers until the summer of 2017. Henry, 17, who signed his first professional contract with the League One club in the summer of 2014, has made 10 appearances this season. The left-back has been out of action since dislocating his shoulder in the defeat at Preston in February. 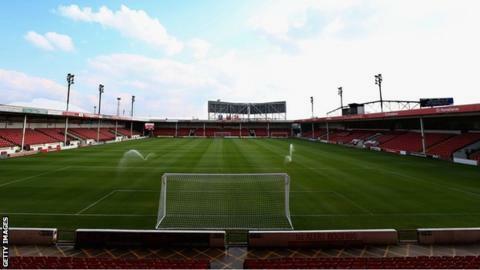 "He has a lot of potential and we know what a valuable asset he can be for us," said Walsall boss Dean Smith. Henry, who came through the youth ranks at Bescot, made his debut in the Johnstone's Paint Trophy win at Tranmere in December. "We're delighted with his progress," added Smith. "Whilst there is still a lot of development to go, it's frightening how good he is already." "I'm very pleased to sign," said Henry. "I think I have done well so far and given a good account of myself, I was disappointed to get the injury at Preston, but I am ready to get back into action now."